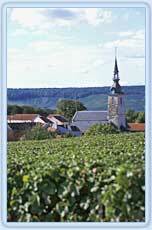 In the heart of the Champagne region between Reims and Epernay is located the home of Raymond BOULARD Champagne. 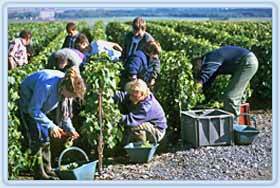 The Boulard family have been tending their vines for fives generations, since 1792. Today, they farm land in seven villages producing the three classic Champagne grape varieties, Pinot Noir, Pinot Meunier and Chardonnay, including top ranking «Grand Cru» on the hillside of the Marne Valley and "Montagne de Reims"
Grown, pressed and aged entirely on Raymond Boulard premises, the Champagne is produced to traditional methods, handed from father to son. The utmost care is taken to safeguard the hightest standards during production enabling Raymond Boulard to guarantee consistent high quality for the finished wine. Because the variety of terroir (land) owned by the Raymond Boulard family and the different grapes grown, we are able to offer a range of Champagne reflecting differing characteristics. Each declared vintage (millésime) is the result of climate, soil and production skills, producing an individual wine with that unmistakable quality the Raymond Boulard family add with their wealth of knowledge. A delight for the connoisseur and the occasional consumer alike. 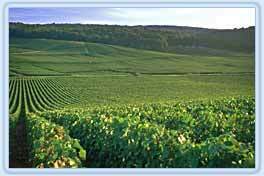 Raymond Boulard family vineyard: 10,25 Hectares. + outsourcing of grapes : 5% Grand Cru Mailly Champagne and Cauroy. Pressed in our winery. Manual training vines on wires for a good repartition of shoots and bunches. 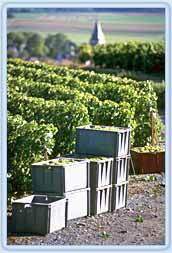 During summer, slight manual thinning out the leaves - aeration of bunches on east side of the vines. Partial picking if necessary / short pruning "prevention". Picking: very selective picking on the vine-plant. Every year, deep ploughing after the harvest. Grapes and wines from this biodynamic part are vinified separatly. Since 2004, this part if our vineyard is controlled by Ecocert. - Conversion ( 2nd year) : Chardonnay : 1,01 ha. Pinot Noir : 0,26 ha. - Newly converted ( 1st year) : Chardonnay : 0,23 ha. Pinot Noir : 0,17 ha. Pneumatic press : Magnum 4000 kgs for a fine and delicate pressing. Barrels: 50 % - 1 out of 20 is new. To mature old reserve wines dedicated to blending. Burgundy barrels for Pinot Noir and from Bordeaux for Chardonnay. 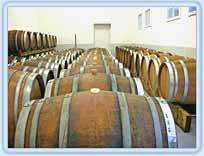 Alcoholic fermentation: natural yeasts or selected dry yeasts in case natural ones do not work. 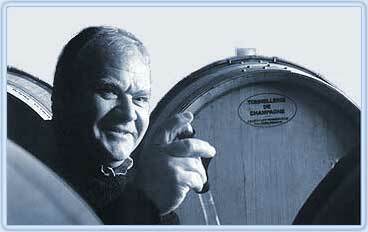 Malolactic fermentation: made or not, totally or partly, according to the style of each cuvee. Dosage from 0 g /L. for Cuvées *Nature* with no dosage to 5 to 8 g for Brut per Litre of grape concentrated must (MCR) => neutral dosage to keep authenticity, pure expression of wine aromas, grape variety, *terroirs* and soils.